You are currently browsing the tag archive for the ‘Marie Howe’ tag. Last weekend my son Clayton and his beautiful partner Mona had the most extraordinary wedding. My body is back home but parts of me are still unaccounted for, shot into the astral space/time continuum. So I’m in surrender, feeling those errant bits fly past, joyfully exploring their circumambience. 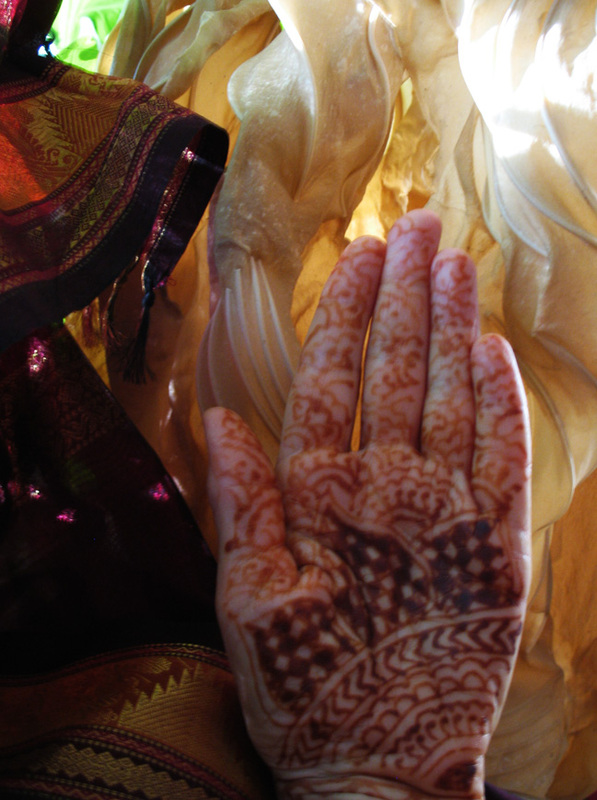 Maybe when the henna disappears from my hand they will return to the roost, to the patterned familiar of my consciousness.